Alex and Tanya at the Polgooth Inn approached us to update their brand for this much-loved pub with a new logo, website and photography. 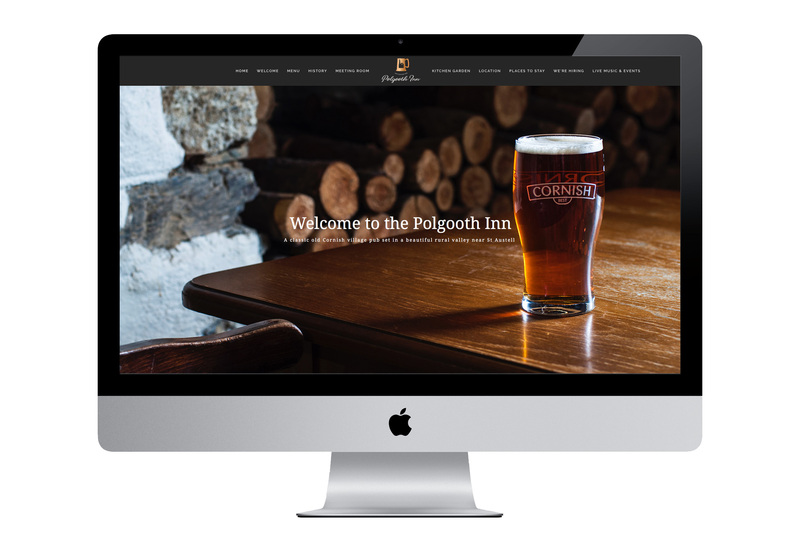 We wanted to have a refresh of our the Polgooth Inn logo and after being very impressed with our website and photography from Sally we approached Design Room for our new visual identity. We have been very impressed by Emma’s ability to literally read our minds and deliver an identity that perfectly symbolizes our vision and conveys an image that is stylish, and incorporates the heritage of the Polgooth Inn. Set in a lush green valley near St Austell, the Polgooth Inn has a welcoming cosy atmosphere and some lovely food. It's been an absolute pleasure working with them on this project and we will hopefully be back for a pint soon!